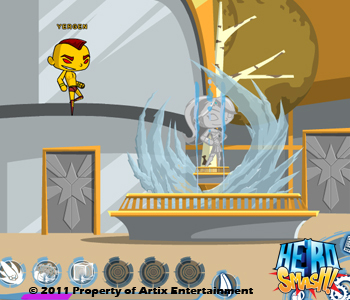 1 Day to HeroSmash Beta!!!!! 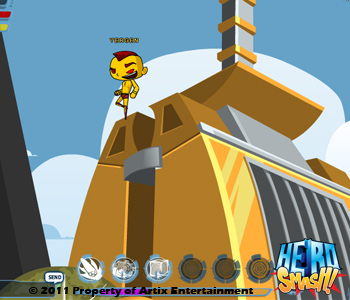 1days to HeroSmash Beta gang. ONE DAY! ONE FREAKIN DAY! 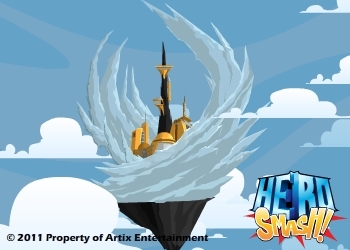 Hovering over Super City is the floating city of Hero Spire. Inspired by Post Modern architecture this golden city is a tranquil inspiring location. Guaranteed to help you focus on being the best hero you can be. I worked hard on this zone. I wanted Heroes to have a cool place that they could go and meet other heroes. 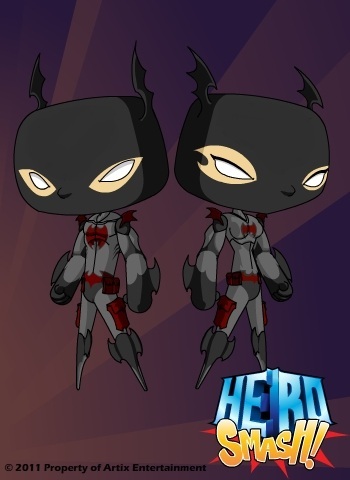 Get hero quests, and buy hero items, and powers. That’s right – armors. PLURAL. Two different Founder armor rewards. I’ll give you a moment to appreciate the importance of that statement…. BAM! See what I did there? Sneak Attack. This is the founder armor, made by Thyton. This is one amazing armor. Look at it. It’s just so… so…. Awesome! 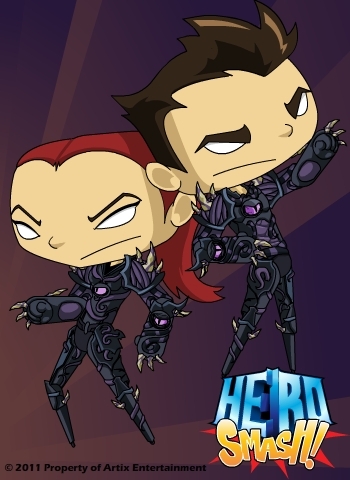 This next armor is a special reward for just AQW Founders. That’s right. So if you are an AQW founder you are eligible for this AQW inspired chaos armor. For those of you who know me you know that I intend to make HeroSmash a completely original, one of a kind game, So game to game crossovers will be EXTREMELY rare. 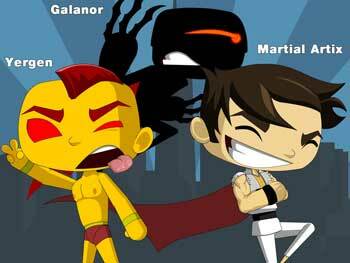 Martial Artix, Galanor, and yours truly were asked some questions about Hero Smash. We had a fun time. Take a look and read everything I said. Wait. I mean see what we said… yeah.... we. Tomorrow’s Design Notes will be the play be play from Martial Artix that you all are so familiar with. I will be too busy eating doughnuts and running around like crazy trying to get everything done.